As a kid growing up on a farm in Wisconsin, Sue Fenton was fascinated by dairy cows. “I always wondered how they could produce milk nearly year-round, for year after year,” she said. 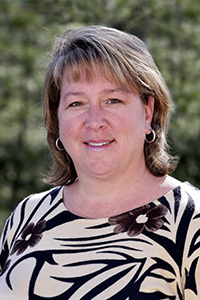 Now a Ph.D. and a reproductive endocrinologist with the National Toxicology Program (NTP) at NIEHS, Fenton highlighted the cutting edge of mammary gland research, guest editing “Environmental Impact on Breast Development and Disease,” a July 2015 special issue of the journal Reproductive Toxicology. The extent of the problem was spelled out in a summary article co-authored by Linda Birnbaum, Ph.D., director of NIEHS and NTP, and Gwen Collman, Ph.D., NIEHS Director of Division of Extramural Research and Training. According to Fenton, the breast’s susceptibility to cancer is exceptional among the reproductive organs. “Other tissues such as the ovary, testis, and uterus are also critical for reproduction; yet, they do not display the high degree of carcinogenicity in humans as seen in the breast,” she wrote in her editorial. The reason, she explained, is the complexity of the tissue, which makes it difficult to get a handle on the reasons for its carcinogenicity. To better understand how endocrine disrupting chemicals (EDCs) cause cancer, the scientists in the special issue relied on animal studies and on associations found in cohorts of children. Citations:Fenton SE. 2015. A special issue dedicated to a complex tissue. Reprod Toxicol. (54):1-5. Forman MR, Winn DM, Collman GW, Rizzo J, Birnbaum LS. 2015. Environmental exposures, breast development and cancer risk: Through the looking glass of breast cancer prevention. Reprod Toxicol. (54):6-10. The paper co-authored by NIEHS Health Scientist Administrator Leslie Reinlib, Ph.D., shared an expert panel’s recommendations for research on EDCs and breast cancer. The panel included scientists with extensive experience in using rodent models and in leading population studies. Breast cancer environmental research can be facilitated by long-term animal studies. Rodent models show mammary tumors to 130 weeks, similar to 80 years in women. Whole Mount Mammary Methods should be used to improve prediction and insights in gene-environment studies. Citation: Teitelbaum SL, Belpoggi F, Reinlib L.. 2015. Advancing research on endocrine disrupting chemicals in breast cancer: Expert panel recommendations. Reprod Toxicol. (54):141-147. The issue includes a wealth of studies among its 18 papers. “I knew most of these researchers professionally, so thought they would send high quality manuscripts,” Fenton said. “I was right.” She was happy to note that the scientific community seemed to concur. After only two weeks, one of the papers had already been downloaded 263 times. The following papers are among those in the special issue. California breast cancer prevention initiatives: setting a research agenda for prevention, by P. Sutton, et al. In utero preeclampsia exposure, milk intake and pubertal development, by Jeremy Michals Schraw, et al. The mammary gland is a sensitive pubertal target in CD-1 and C57Bl/6 mice following perinatal perfluorooctanoic acid (PFOA) exposure, by Deirdre K. Tucker, et al. Prenatal Bisphenol A exposure delays the development of the male rat mammary gland, by Laura Kass, et al. 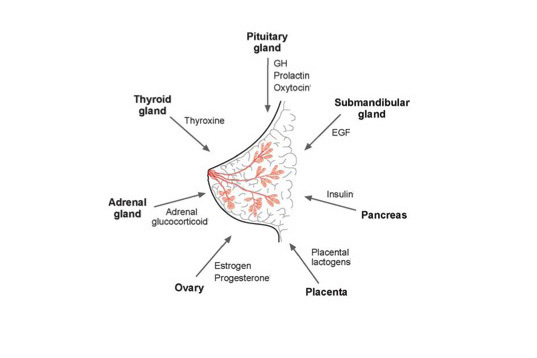 Mixtures of environmentally relevant endocrine disrupting chemicals affect mammary gland development in female and male rats, by Karen Riiber Mandrup, et al. Estrogens in the wrong place at the wrong time: Fetal BPA exposure and mammary cancer, by Tessie Paulose, et al. Alteration of mammary gland development and gene expression by in utero exposure to arsenic, by Daniela A. Parodi, et al. Segregated responses of mammary gland development and vaginal opening to prepubertal genistein exposure in Bscl2 -/- female mice with lipodystrophy, by Rong Li, et al. Paradoxical zinc toxicity and oxidative stress in the mammary gland during marginal dietary zinc deficiency, by Zeynep Bostanci, et al. Alcohol intake stimulates epithelial proliferation in an authentic model of the human breast, by Anke Schennink, et al. Dietary exposure in utero and during lactation to a mixture of genistein and an anti-androgen fungicide in a rat mammary carcinogenesis model, by P. Phrakonkham, et al. Effect of maternal exposure to endocrine disrupting chemicals on reproduction and mammary gland development in female Sprague-Dawley rats, by Fabiana Manservisi, et al. Concentrations of environmental phenols and parabens in milk, urine and serum of lactating North Carolina women, by Erin P. Hines, et al. Application of Sholl analysis to quantify changes in growth and development in rat mammary gland whole mounts, by Jason P. Stanko, et al. Hypothesis: Activation of rapid signaling by environmental estrogens and epigenetic reprogramming in breast cancer, by Lindsey S. Trevino, et al. Evaluating chemical effects on mammary gland development: A critical need in disease prevention, by Gwendolyne Osborne, et al. next article - "Scientific experts agree with ..."